Fr. 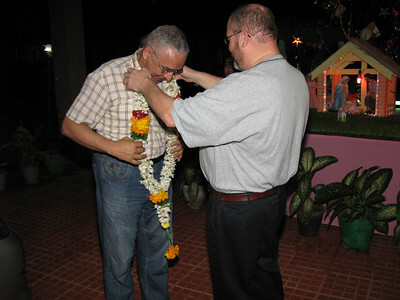 Charlie places a garland on Fr. 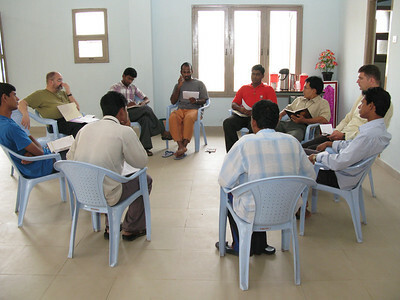 General, welcoming him to the Dehon Christu Nivas community in Eluru. Fra. 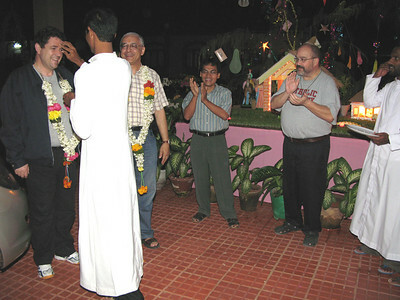 Hruday Raju marks the forehead of the guests, an Indian tradition. Fr. 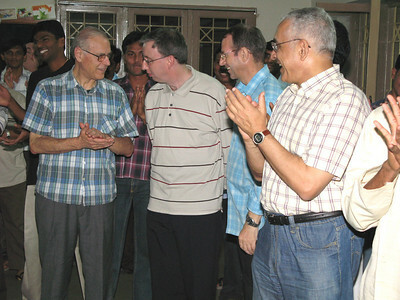 Pedro, (L) who begins his assignment in India, Fr. 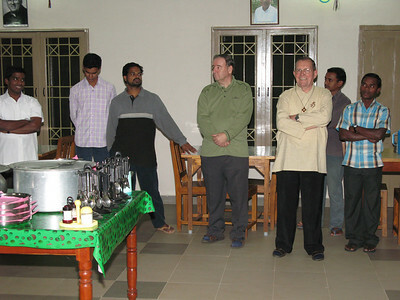 John (Ireland), and Fr. Ornelas (General Superior). Fr. General greets Fra. Roy. Before dinner, Fr. 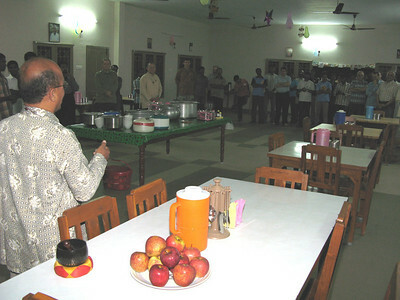 Kus, Superior of the Eluru community, welcomes the guests. 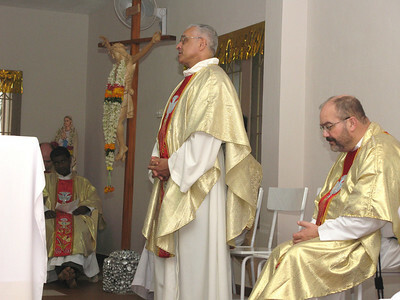 From left: Fr. 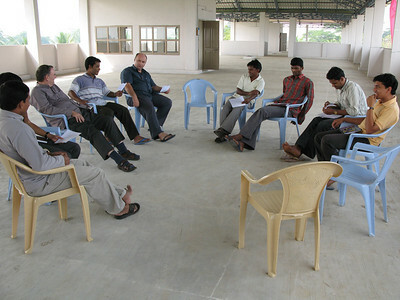 Guiseppe (Italy), Fr John (Ireland), Fr. Valerio, and Fr. Ornelas. Fr. Tom, Novice Master (middle), and Fr. 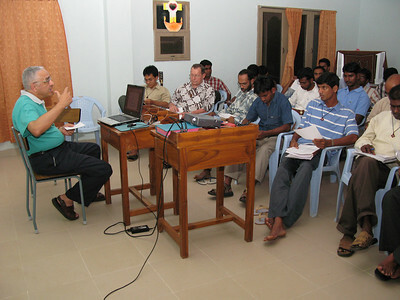 Martin, India District Superior. 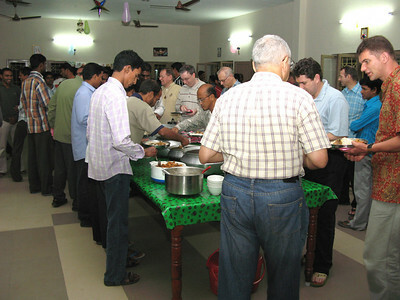 The evening meal, shortly after arrival of guests. Fr. 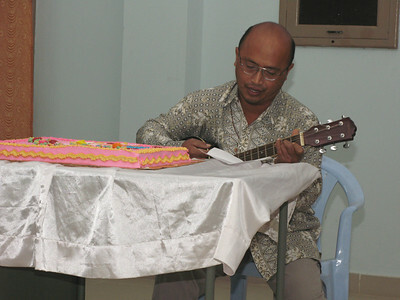 Kus begins the evening's District Christmas Celebration with a prayer song..
Fr. 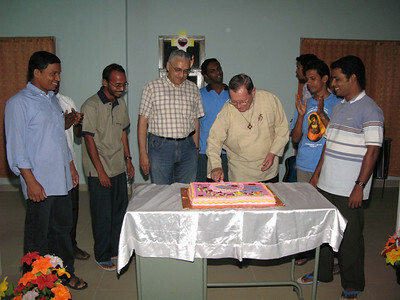 Martin cuts the cake at the beginning of the community gathering. Newly ordained deacons, Dn. Aji (L) and Dn. Sanil. 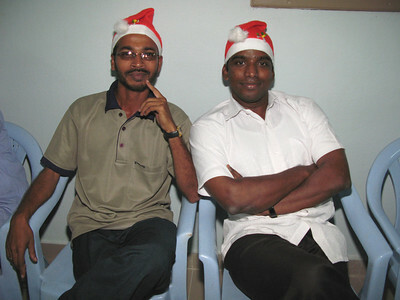 A Christmas song presented by the Kumbalanghy community, from Kerala. 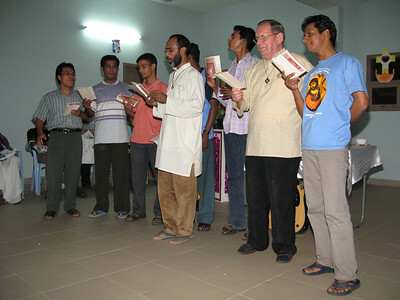 The novices sing a Christmas song. 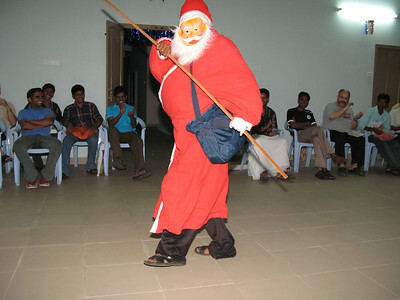 After the various song, dance, and skit performances, Santa Claus announces the time for the exchanging of gifts. Fr. 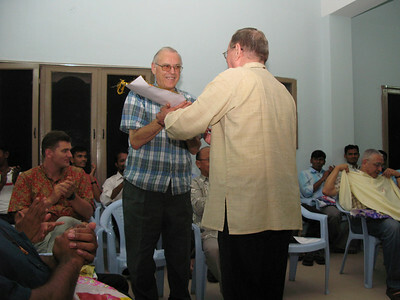 Martin presents a gift to Fr. 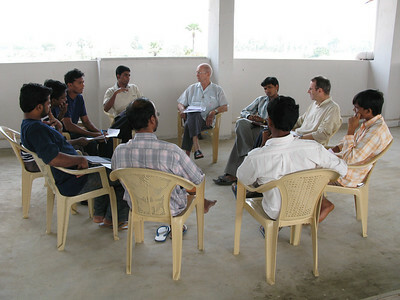 Ornelas in the name of the India District community. Fr. 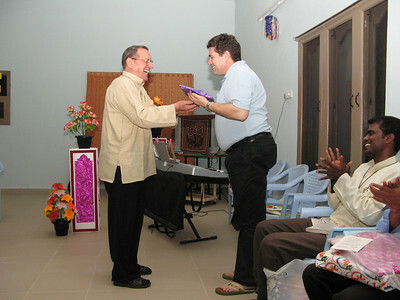 Martin presents a gift to Fr. Pedro. Fr. 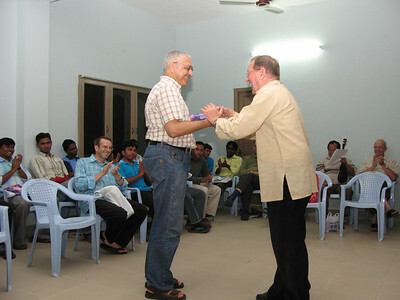 Martin presents a gift to Fr. Guiseppi (Italy). Fra. Abraham begins the exchanging of gifts. 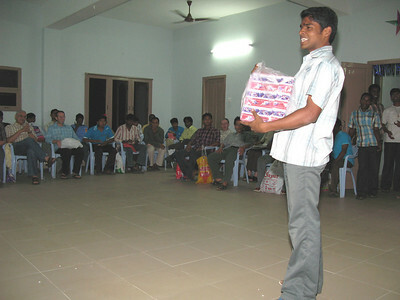 A few weeks earlier everyone chose a name of the District community for whom they would pray, and present a gift. Fr. 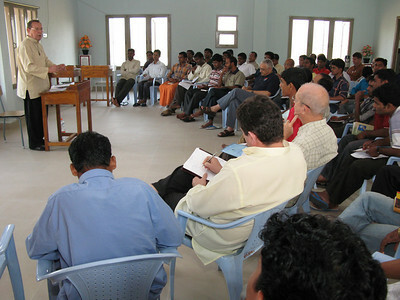 Martin, India District Superior, opens the District Assembly. Fr. Kus gives the first presentation of the day, with a report of the District Formation Commission. Fr. 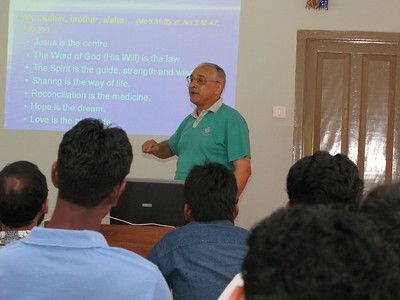 General, giving his presentation on the Charism of Fr. Dehon. 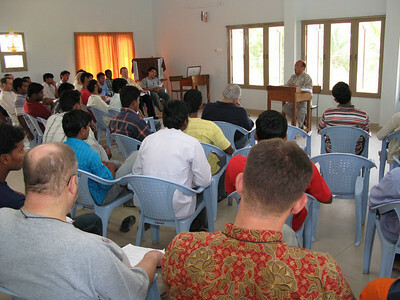 The assembly participants discussed in small groups some of the points that were presented in the general assembly.